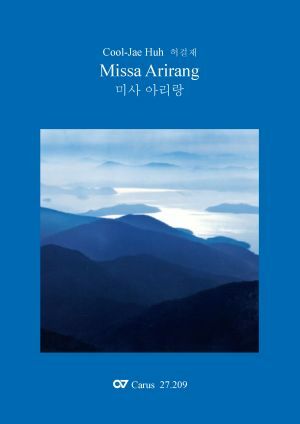 In the Missa Arirang the connection between Asiatic music and European Text stands for the bringing together of two continents and cultures. Commissioned by the Korea Chamber Singers, in the Missa Arirang the composer Cool-Jae Huh reworks the famous Korean folk song "Airirang", which was included on the list of masterworks from the oral and intangible legacy of mankind. The mass is characterized by a continuous, typical Korean rhythm, sustained especially by the Changoo (Korean Drum). The piano serves to reinforce the choir harmonically.